My husband bought a shiny new Telecaster yesterday. 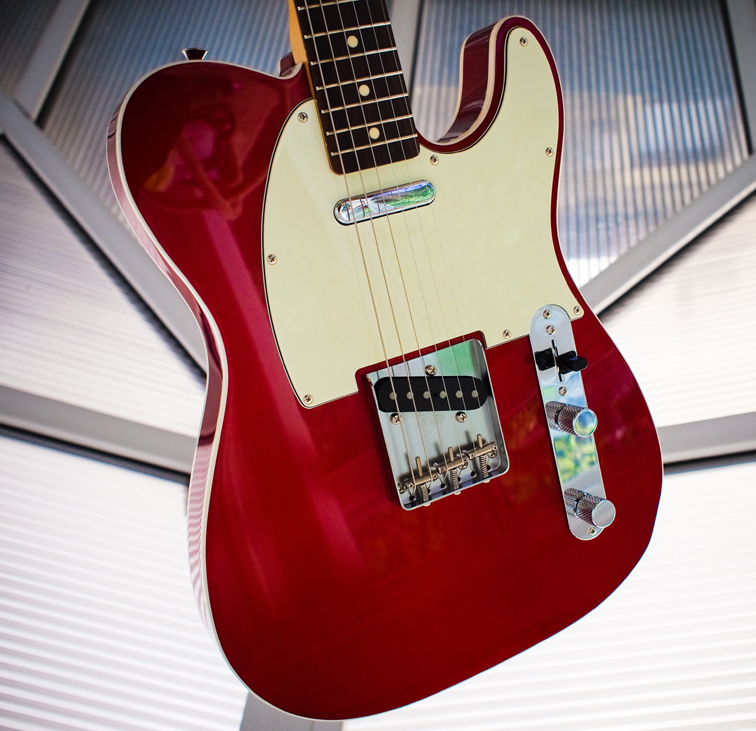 For style, Tele’s are not my favourite guitars, but I love the white binding against the red. It’s a pretty thing.